Center for Arts-Inspired Learning is one of 75 nonprofit organizations to receive an NEA Big Read grant to host a community reading program this year. The official announcement can be read in the press release. When is the NEA Big Read in Cleveland? The NEA Big Read in Cleveland will take place September 23 – November 16, 2017 in partnership with Cleveland Public Library, Lake Erie Ink, Literary Cleveland, and Great Lakes Theater. A public kick-off event will be Saturday, September 23 from 10am-12pm at Cleveland Public Library’s Carnegie West Branch (1900 Fulton Rd). A culminating celebration and panel discussion will be Thursday, November 16 from 10am-12pm at Cleveland Metropolitan School District’s East Professional Center (1349 E 79th St). Below is a calendar of Cleveland NEA Big Read events open to the entire community. 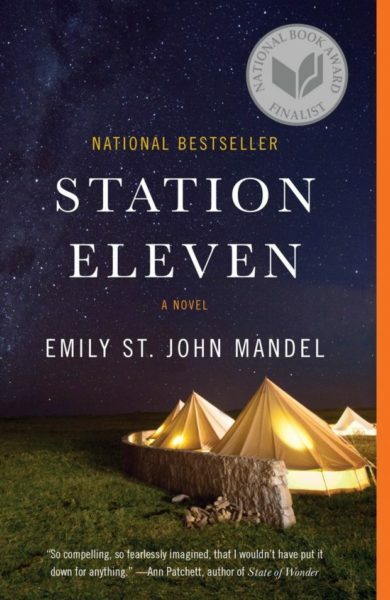 We hope you will read and celebrate Station Eleven with us! Check out a copy of the book from your local Cleveland Public Library today! SEPT 23 | CLEVELAND NEA BIG READ KICK-OFF! Socialize with Cleveland’s NEA Big Read!